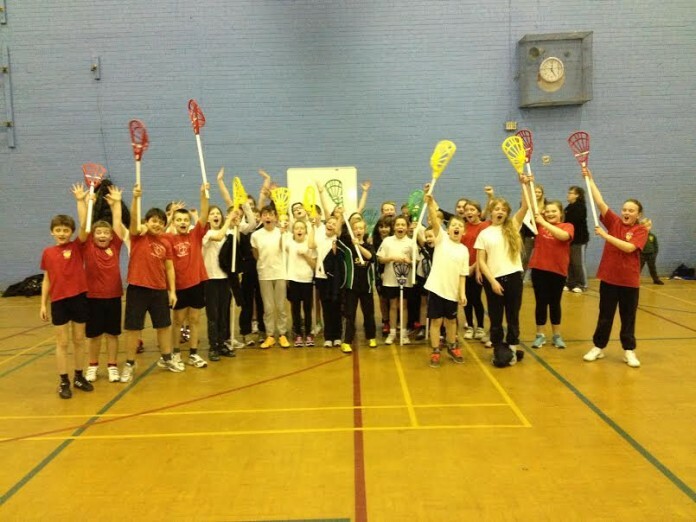 The Poynton Pop Lacrosse Tournament was held on 3rd February at Poynton High School, with Primary School teams from Adlington, Disley, St Pauls and Worth taking part. The children all played with great spirit and sportsmanship throughout the event and there was some excellent lacrosse played. During the initial round robin phase there were some really close games with every game being won by only 1 or 2 goal, this set up the semi-finals, Worth overcame Adlington 6 – 3 to progress to the final where they were to meet Disley who triumphed over St Pauls 6 – 1. In the final Disley started the game quickly scoring some excellent goals they raced to an early lead which they never relinquished and despite a late charge from Worth they held on to win 5 – 4. Both Disley and Worth now progress onto the Cheshire Final being held in Macclesfield in March.